This is a guest post from Tim Johnson. The biggest question authors ask us is “How do I find my readers?” This is especially true for fiction authors. Luckily, Tim walks you through step by step of how to identify your target market and how to identify the benefits your book has so that you can then properly market your books. Many people will skip these crucial steps in their business. We won’t lie to you… this is work and it’s not glamorous. It’s much more work than sending a tweet, but you’re building a business. 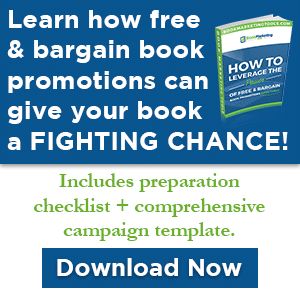 Those who take the time to work through these steps, will have a much clearer marketing plan when they’re finished for how to market their book. 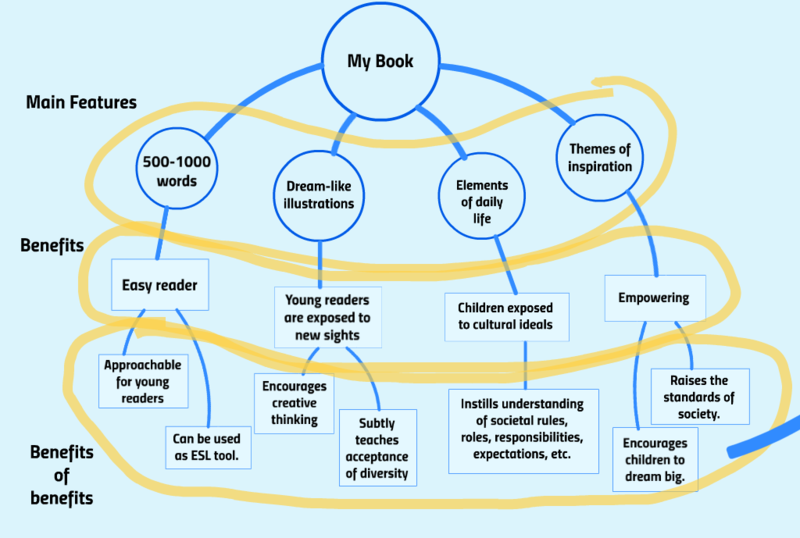 To give you an example of how these principles can be implemented I will give you some illustrations of how I implemented each step of this process when writing children’s books. My avatar actually consisted of two different types of people: a child (the book reader) and a parent (the book buyer). I broke the avatar down to the constituents listed in the above illustration to come up with my two different avatars. 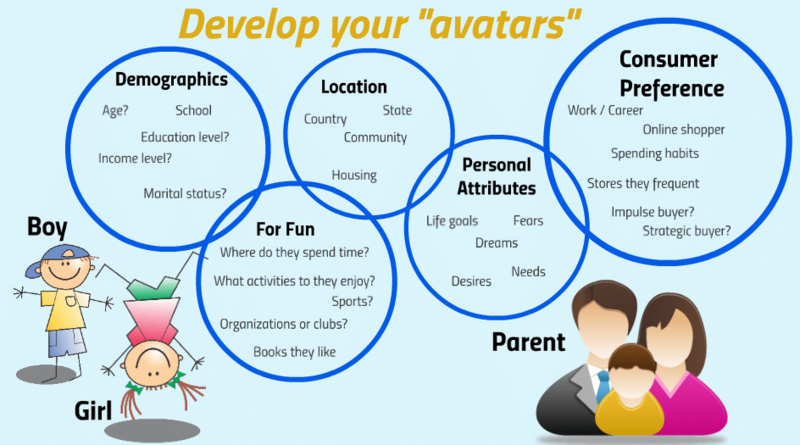 You can use this tool to begin solidifying the characteristics of your avatar. 1. What concepts, principles, emotions, virtues or morals would be most helpful to my avatar? I started with three categories that I thought would be valuable to my avatar; a “helpful” book, a “useful” book (which I realize is quite similar, but I defined it as more of a parenting tool, than a “helpful” life prep element) and a “unique” book, which has definite value in the children’s realm. I broke these categories down into specific elements that could be included in a story and tried to determine where they intersect. An element that was common to all three categories was something I knew had to be included. I was also able to pick and choose from the other overlapping elements that came out of this exercise. 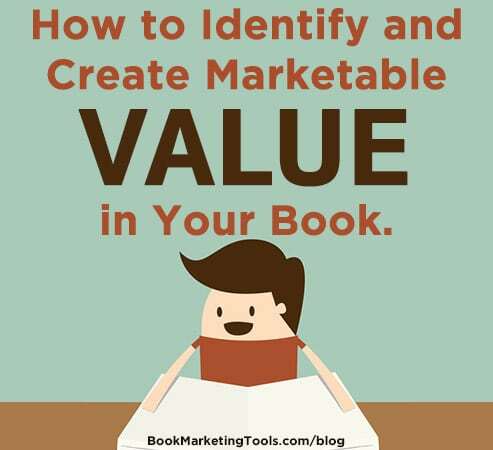 This exercise can help you determine the greatest elements of value for any book. 1. What experience does my avatar always wish they were able to have but never will? Similarly, this is the same exercise that was used previously to determine the elements of greatest value. 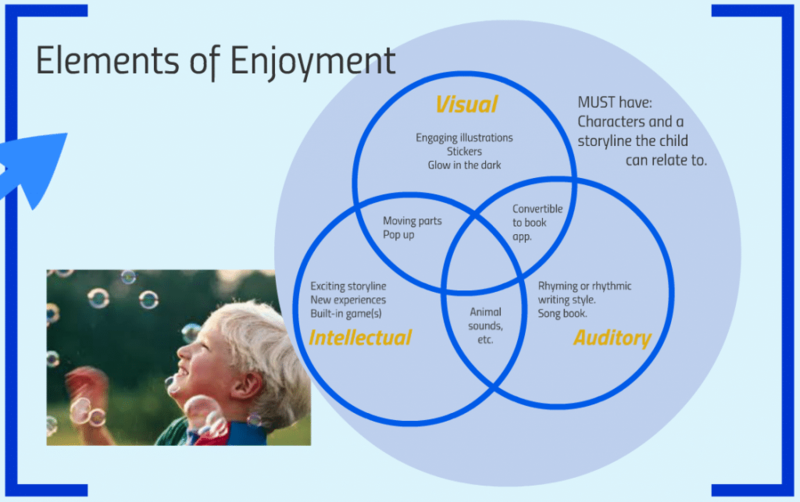 Given that this exercise was done for a children’s book, my categories consist primarily of sensory experiences. Now that we have defined the major overarching benefits of our book it’s time to get our fine-tooth comb out and get into some particulars. 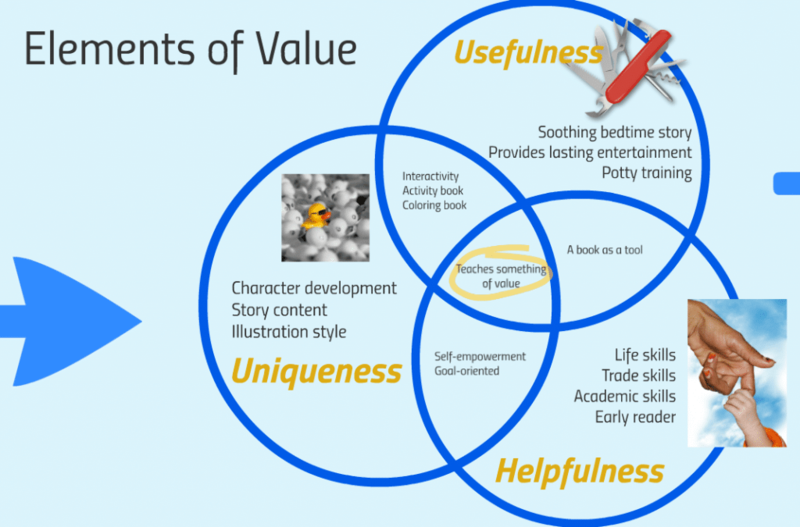 List a few of the fundamental elements of value and elements of enjoyment that you have chosen to incorporate into your book. 1. What is the moral of the story? What does it teach? Tim Johnson is the author of over 70 titles on Amazon. Primarily publishing illustrated dual-langauge children’s books, he has also published a variety of non-fiction titles. He has also released video courses intended to help self-published authors become successful.